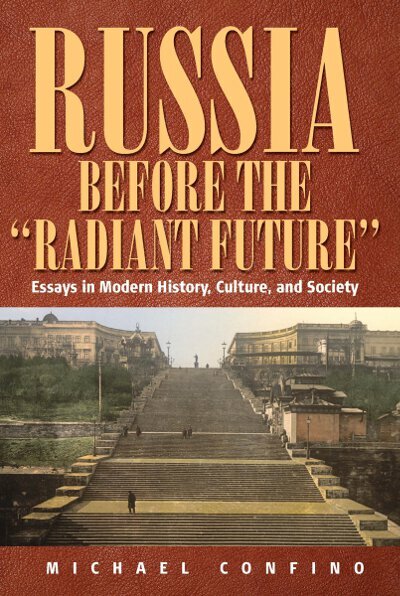 One of the major historians of prerevolutionary Russia has collected in this volume some of his most important essays. Written over a number of years, these pioneering works have been revised and updated and are complemented by others being published for the first time. Thematically, they cover major subjects in Imperial Russian history and in historical writing, such as ideas and their role in historical change; the intelligentsia, the nobility, and peasant society; and historiography. The twelve essays raise cardinal questions about current scholarship on Russian history before the upheavals of 1917 and offer original interpretations that are of interest to the educated layman as well as the professional historian. Michael Confino was, until his recent death, Professor Emeritus in History at Tel Aviv University and a member of the Israel Academy of Sciences and Humanities, Jerusalem. He was the author of numerous books and articles on modern Russian and comparative history, and on social, intellectual, and agrarian developments under the Old Regime; he served as Visiting Professor at Harvard (1969, 1978), Stanford (1979, 1985), the University of Chicago (1966, 1968, 1970), Duke (1987), and the Ecole des Hautes Etudes en Sciences Sociales in Paris (1974, 1976).